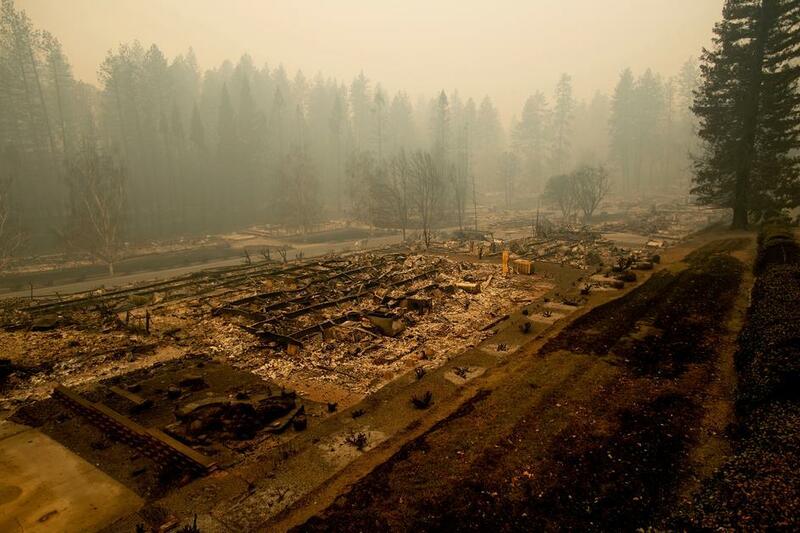 Leveled residences line a mobile home park on Edgewood Lane after the Camp Fire burned through Paradise, Calif., on Saturday, Nov. 10, 2018. While nonprofits and government organizations have largely been highlighted as places where those who have been displaced can get help, the Paradise community itself has been greatly involved in connecting their friends and neighbors to resources. One of those groups is Paradise Community Guilds, which has been holding weekly meetings to get information to survivors and to discuss rebuilding the town. NSPR’s Marc Albert spoke with David Leon Zink, president of the organization to learn more about its fire relief efforts. Paradise Community Guilds meets weekly on Mondays for support and education on redesigning Paradise. For more information visit Paradise Community Guilds on Facebook.